Are you planning a Bathroom Renovation in Toronto? Time to upgrade your master bath? Want to create more space and functionality? Have bathroom issues that need to be addressed? You have come to the right place! 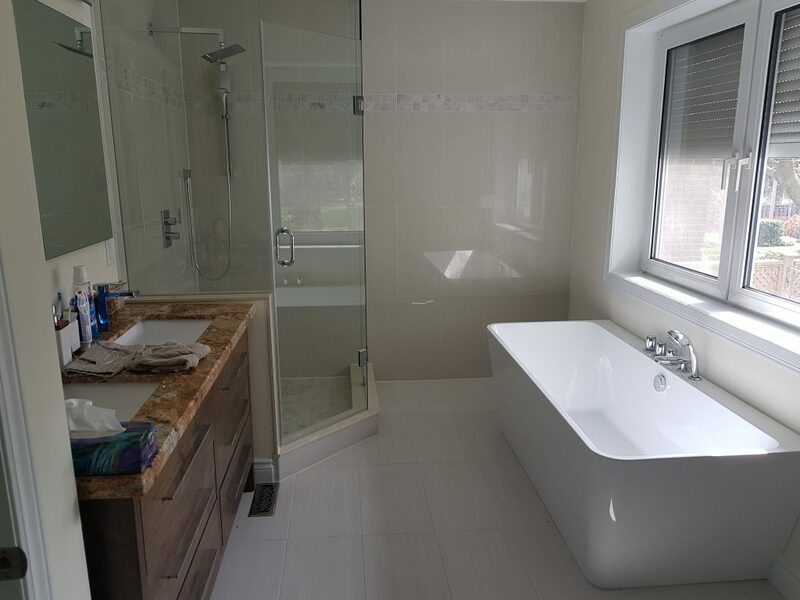 For years, A & R Renovations Inc. has helped homeowners across the Greater Toronto Area renovate their bathrooms, give them the space they have always wanted, while improving style, functionality and home value. This is why Bathroom Renovations are so popular – they provide you with the ROI you want and help you get the most out of your investment in a home renovation project. What do you want to do with your bathroom? A Bathroom Renovation Should Always Be Left To The Pros. While you may be tempted to take a DIY approach to cut costs, it is not advisable for bathroom renovations. Never mess with your plumbing if you are not a licensed plumber. You could do more harm than good and end up costing yourself more money than you budgeted for. 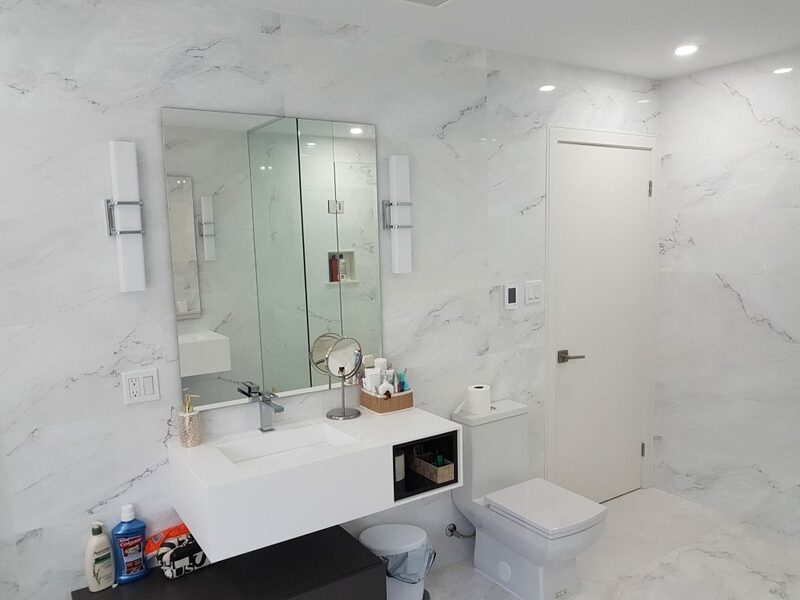 This is why hiring a professional company for Bathroom Renovations in Toronto is your best option to create the bathroom of your dreams. We can help you do repairs or make changes to your master bathroom, powder room, and guest bathrooms. Whether you want to replace the toilet, vanity, shower, or gut the entire bathroom and redesign it, we can help – just give us a call to get things started. What are The Benefits Of A Toronto Bathroom Renovation? These are only a few of the many reasons why bathroom renovations are great options from an investment and functionality perspective. Whether you own or manage rental properties, or are planning on selling your home, updating the bathrooms in the home, condo, or apartment will make it easier for you to rent or sell your property. 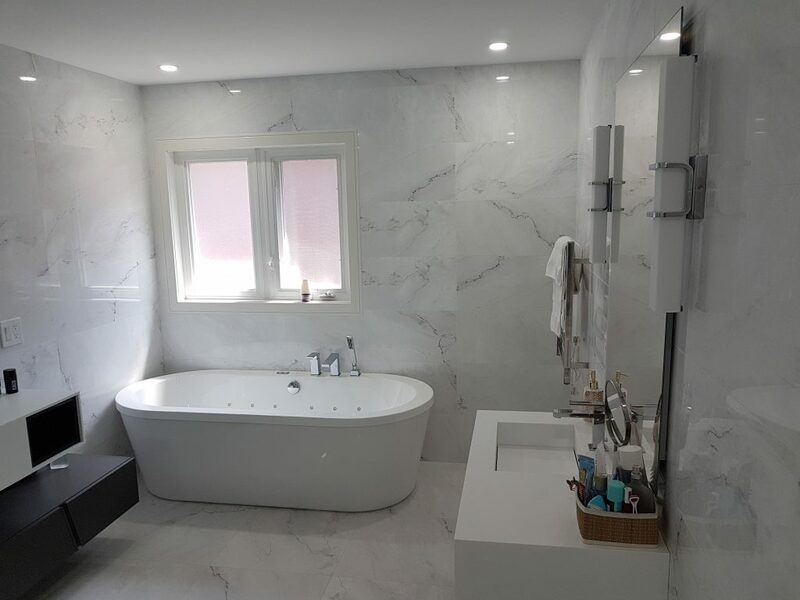 Bathrooms, along with kitchens, are two very important selling points of homes and we can make sure your bathrooms are appealing to anyone interested in moving into your property. From this perspective, a Bathroom Reno provides great ROI and will help you achieve your real estate goals much quicker. Customer service is always something you need to factor into your decision to choose a company for Bathroom Renovations in Toronto. A company that pays attention to your needs and listens to your input will have a big impact on being able to deliver the bathroom you want for your home. Building with commitment: We are fully committed to each and every renovation job we take on. This means using the best techniques and materials to create your bathroom design. Creative thinking: We know you want something unique and something that reflects your needs and personality. We are not afraid to think outside the box, try new things, and come up with create designs for the space we have to work with in your bathroom. Attention to detail: We sweat the small things because we know they are what make the biggest difference in your bathroom design. Our attention to detail is what will create a home that you will value for generations to come. It is this approach to customer service that will ensure you get the final product you envisioned when you started the renovation planning process. We are happy to help you achieve your bathroom renovation goals and objectives. Just give us a call to get your renovation started. These are all things that will need to be determined to figure out your bathroom renovations costs for the project. We want your business and will do what it takes to earn it. We are always looking for new bathroom renovation projects to work on. One of the reasons why our customers enjoy working with us is because we always deliver on our promises; we stay on time, and on budget. We know how important these and other factors are to a successful Bathroom Renovation Project. We complete one project at a time. This means that you are our first priority. We proudly serve customers in Woodbridge, Markham,Vaughan,Brampton,Mississauga, Richmond Hill, North York, and other locations across the GTA. Want to learn more about our Toronto Bathroom Contractors or how we can help you complete your bathroom renovation plans? Contact us anytime to explore your Bathroom Renovation options. Get a Free Toronto Bathroom Renovation Quote Today! Your first step toward building your brand new bathroom is to get a hassle free Toronto Bathroom Renovation quote. The quoting process allows us to get to know more about your project needs, what you want to accomplish, your timeline, and more. It also allows us to provide you with an accurate estimate. We are looking forward to helping you explore your options and create a plan that will give you the bathroom you have always wanted to have at home. Give us a call anytime. We are excited to work with you on your Bathroom Renovation in Toronto. For more information call us or submit your contact information. Feel free to contact us for further assistance. A & R Renovations Inc, 2018.